There'll be a fireworks spectacular for Cowes Week on the Isle of Wight tonight. Thousands of sailors have been taking part in the eight-day event with amateur sailing enthusiasts competing against the professionals. Fireworks worth more than a thousand pounds have been stolen from a warehouse in Rye. Many of the items taken are described as high category displays, which are designed to be used by professional operators. Sussex Police are warning people that the powerful fireworks could pose a danger if used in back gardens. We are investigating the burglary, but our main concern is that these explosives may fall into the hands of people who do not know how to use them or appreciate just how dangerous they might be. The fireworks, imported from China, are packaged in plastic bags that are in turn boxed in cardboard cartons sealed with packing tape. The majority of the items are display 'cakes', but there are also mines and candles and any attempt to light them or to throw them into a fire could be extremely dangerous. They are designed to be used on an organised display field with significant safety distances and if used in a domestic setting, such as a back garden, would be very hazardous. 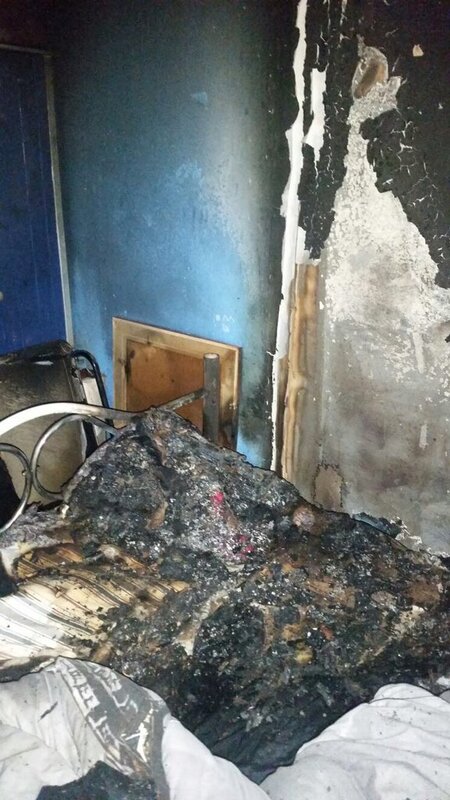 Hampshire Fire and Rescue have issued some pictures of a fire they attended last night. They want to warn people of the dangers of storing and using fireworks indoors. Police at Lyndhurst are appealing for information after a pedestrian and a horse and rider had live fireworks thrown at them from people in a car. It happened on Wednesday in Winsor Road. The car is believed to be dark blue, possibly an old model BMW estate car, and the same car is believed to have been sighted near Tatchbury Mount Hospital and in Tatchbury Lane and Loperwood about the same time. People living in Kent are being warned that fireworks must be stored properly after two large hauls were found in dangerous circumstances. Mark Rolfe from Kent Trading Standards says they found thousands of pounds worth of fireworks on a raid recently. Sangheeta Bhabra spoke to him earlier. The wet and windy weather this weekend has dampend a planned firework show in Maidenhead tonight. The Christmas lights switch on and music performances will still go ahead as planned from 5pm. The lights will be switched on at 6pm by triple gold medal winning Paralympian Sophie Christiansen and The Mayor, Councillor Colin Rayner. Cost: Adults £5. Children £4. Cost: Adults £2.50. Children £1.50. Family £7. If we've missed any events, then let us know by emailing meridiantonight@itv.com. Cost: Adults £3. Children £2. Cost: Individual ticket £3. Family ticket £10. £4 each on the gate. Under 5s free.